When I decided to review all of the movies in the American Film Institute's famed "Top 100", I figured this would be a pretty simple task. After all, of those 100 films, we already offered reviews of about half of them, and since more than 30 percent of the rest weren't yet available on DVD when I started, this meant I wouldn't exactly have to kill myself to finish off the series. Had I needed to write up 30 or more DVDs, that would make the prospect unrealistic, but I thought the final 18 or so necessary would not be a problem. One part of this task did daunt me, however: the fact that three remaining discs were for movies made by Charlie Chaplin. Despite his legendary reputation as a comic great, "the Little Tramp" never did much for me. Okay, I admit that I don't think I'd ever watched an entire Chaplin film before I launched into my examination of the AFI 100, but I'd seen enough of his shtick to feel that I wouldn't change my mind about his work. I was wrong. My impressions of Chaplin became positive, at least as viewed through three AFI-recognized films I saw. These began with 1925's The Gold Rush. The film's plot is intensely simple. Chaplin plays "The Lone Prospector", a little dude who ventures to the Klondike in search of gold. In the film's first act, he fails at this while he meets a couple of characters: nasty-tempered Black Larson (Tom Murray) and large but gentler Big Jim McKay (Mack Swain). TLP and McKay have some run-ins with Blacky, but they come through okay, despite the near-starvation they experience while stranded in the wilds and a tussle that eventually leaves Big Jim with amnesia. That latter aspect's a shame, since BJ apparently has found a mountain of gold. Nonetheless, the next act takes penniless TLP and places him in the semi-big city. At a dance hall, he encounters lovely young Georgia (Georgia Hale) and promptly falls for her. She uses him to get back at her suitor Jack (Malcolm Waite) and eventually accepts a New Year's Eve dinner invitation as a gag. Of course, Prospector doesn't know that the whole thing's a mean joke to be played on him, so he scrounges up whatever meager resources he can find to create a feast. Unfortunately, things don't work out so well at the time, though the entire package eventually wraps up happily. Okay, maybe the plot's more complicated than I thought, but despite the three paragraphs I used to relate it, I probably could have summed it up this way: guy searches for gold and fails, tries to woo girl and fails, but ultimately wins. There's not much that's terribly striking in the story. Rush succeeds comes due to its execution. Despite my reservations, I'm starting to think that Chaplin deserves his reputation as an excellent physical comic. Normally I can't stand that form of humor, but I found many parts of Rush to be amusing, largely because of his performance. For example, I thought that Johnny Depp's recreation of this film's "roll dance" scene in the excruciatingly-cloying Benny and Joon was nauseating, but the original sequence is fairly charming. Actually, “charming” is probably the best term to describe Chaplin's work in Rush. He creates a warm and endearing persona that makes the material succeed. I can't say I found his antics laugh-out-loud funny - though they amused me - but the film had a pretty strong impact upon me just because I cared about the Prospector, especially in the scenes related to Georgia. Chaplin plays them with such disarming honesty that they come across as genuine and touching. All of this makes the film's inevitable happy ending all the more lovely. I must admit that I was quite pleasantly surprised by my reaction to The Gold Rush. Between my previously perceived dislike of Chaplin and my disaffection for silent films, I expected this to be an unpleasant experience. However, Rush provided a warm, witty and touching movie that I genuinely enjoyed. The Gold Rush appears in an aspect ratio of 1.33:1 on this single-sided, double-layered DVD; due to those dimensions, the image has not been enhanced for 16X9 televisions. While not devoid of problems, the DVD generally displayed a shockingly positive presentation. Some issues related to softness appeared at times. Wide shots occasionally came across as a little indistinct and mildly blurry. However, the majority of the movie appeared accurate and reasonably concise. I saw no issues due to jagged edges or moiré effects, but a smidgen of edge enhancement showed up at times. Black levels looked nicely deep and dense for the most part. Periodically they were slightly grey, but they mostly seemed solid. Contrast levels were positive; faces appeared a little too white at times, but that looked related to the photographic style. Low-light situations were accurately displayed and seemed appropriately well defined. Despite the very advanced age of Rush, the print came largely free from flaws. Probably the biggest intrusion stemmed from some white flashes that popped up sporadically. Some flickering also appeared at times. Other than the occasional spot or vertical line, however, the film looked virtually free from any other form of physical defect. I’ve never seen a movie from the Twenties that looked even remotely this good, so although the image still featured a few concerns, I thought it deserved an “A-“. While not as good as the picture, the Dolby Digital 5.1 soundtrack of The Gold Rush also seemed solid for its age. Don’t expect significantly expanded dimensionality from the 5.1 mix, though. Essentially it came across as glorified monaural, as the majority of the audio still emanated from the center. Some music displayed mild spread to the side and rear, but this remained subdued. That was fine with me, as I didn’t really want or expect a whiz-bang soundfield for this film. Chaplin's narration appeared somewhat thin and tinny, but it always sounded clear and relatively concise as well. His speech remained easily intelligible throughout the film. The music seemed similarly crude but was acceptably bright and distinct. Little low-end information appeared. Few effects appeared during the film. In fact, I recalled little more than some gunshots and also the creaking of the house on the edge; otherwise the soundtrack limited itself to music and narration. The effects we hear seemed pretty strong; they were clean and fairly well defined. No parts of the mix displayed noticeable distortion; the track sounded free from significant edginess or shrillness. Little background noise appeared throughout the film. Some concerns popped up briefly during parts of Chaplin’s narration, but these seemed minor. Overall, the audio of The Gold Rush worked pretty well for its age. Happily, the 5.1 track wasn’t the only audio option. The DVD also included the film’s original monaural mix as well. The pair sounded very similar, though I thought the mono track was slightly superior. The 5.1 track demonstrated a little bit of reverb absent from the mono one, and that made it mildly clearer and better defined. The differences appeared minor, but I felt the mono version was a little more natural. While not chock full of extras, this edition of The Gold Rush does toss in some nice supplements on DVD Two. Easily the most appealing is the original 1925 version of the film. 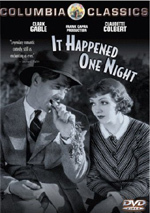 DVD One features the 1942 reworking of the movie. Chaplin took his previously-released flick, lost dialogue cards, added music, effects, and narration, and made a few other changes to it such as a minor alteration to the ending. I think that version works nicely, but it’s also great to get the original one in the same package. The picture quality of the 1925 edition seems good, but it doesn’t measure up with the 1942 one. The former appears a bit murkier and displays iffier sharpness and moderately higher levels of print flaws. However, it still looks darned good for a 78-year-old movie, and the stereo score recorded for this edition presents very clean and rich audio. DVD Two also provides an Introduction from Chaplin biographer David Robinson. 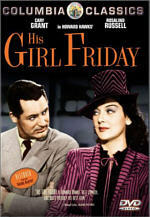 In this five-minute and 28-second piece, he gives us some general notes about the film and its production as well as changes made for the 1942 version. Pretty much everything he says also shows up in the longer program I’ll discuss next, so this conversation seems skippable unless you’re short on time. Chaplin Today provides a more detailed examination of The Gold Rush, though it starts in an odd manner. The 26-minute and 55-second piece opens with loose information about a modern African gold rush, and we hear from filmmaker Idrissa Ouedraogo, who talks about his work and his feelings about Chaplin. While not inappropriate, this feels like a weird way to begin the program. From there, “Today” mostly becomes a more standard documentary. We get notes about the influence of the infamous Donner Party on the film, the shooting of the scene in which Chaplin morphs into a chicken, the movie’s general genesis, locations sets, casting, and various production notes. We hear older comments from actors Mary Pickford, Lita Grey and Georgia Hale, and we even see a snippet from a Fatty Arbuckle flick that inspired Chaplin’s legendary “roll dance” sequence. Although it progresses in a haphazard and illogical way at times, “Today” includes enough good material to merit a look. Next we get some stillframe materials. First up is a collection of 24 movie posters. These come from both US and international sources and cover the flick’s initial release as well as later reissues. The Photo Gallery splits into seven subsections: “Cabin” (31 stills), “Exteriors” (80), “At the Chaplin Studios” (48), “Dance Hall” (47), “On the Ship” (20), “Sets” (17), and “The Real Gold Rush” (15). Except for the last category – which shows historical photos from the 19th century – all of these offer nice behind the scenes images. After this we discover a series of trailers. We get four of these, all of which tout the 1942 version of the flick. We find one each in English, French, German, and Dutch. Lastly, DVD Two provides a package called The Chaplin Collection. 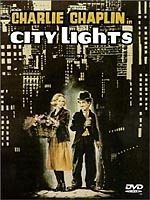 This features short clips from the following flicks: The Kid, A Woman of Paris, The Gold Rush, The Circus, City Lights, Modern Times, The Great Dictator, Monsieur Verdoux, Limelight, and A King in New York. One nice – and surprising – touch: most of the DVD’s supplements include subtitles in English and a mix of other languages. Other than on DVDs from Paramount and DreamWorks, text accompaniment for extras occurs exceedingly infrequently, so the additional subtitles are much welcomed here. When I initially watched it, I must admit I expected to dislike The Gold Rush. Instead, I found it offered a pretty witty, entertaining and charming little film. The DVD presents startlingly strong picture quality along with generally fine audio and a second disc of supplements that gets major points because it includes the original version of the movie. The Gold Rush is such a sweet and lovely little comedy that I’d recommend it even to those without much prior affection for silent flicks. Should fans who own a prior DVD of Rush get it? Without question. It's easily the best version of the movie on the market. 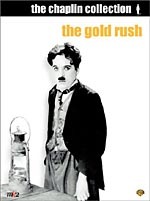 Note: This new version of The Gold Rush can be purchased on its own or as part of a four movie set called “The Chaplin Collection, Volume 1”. Along with Rush, the latter includes Modern Times, The Great Dictator, and Limelight. With a list price of $89.92, this set seems like a nice bargain, as it gets you four movies for the price of three. If you only want one or two of the Chaplin clips featured, it’s not worth it, but otherwise it’s a solid deal.